There always seemed to be something better to do at university than grapple with my personal finances and try to get to grips with the stock market. All those numbers and charts flying around were confusing and as was normal with students, why worry about something now when you can put it off for a bit? There was also the notion that finances and investing were for "adults", and as an undergraduate it was more natural to focus on the various aspects of student life, like hanging out with my friends... and studying, of course. During those years, I viewed money only as a means to acquire my immediate material wants and needs. Inevitably, I was not careful how I spent it: Splurging on relatively expensive meals in restaurants and taking taxis to get around were the norm. Goodness knows how many thousands of dollars I wasted during those years when I really should have saved cash by choosing cheaper alternatives like hawker centre meals or taking the bus. The result was that my bank balance was practically zero at the end of my four-year course. I had spent all of my army allowance and pocket money that my parents gave me during university while not saving a cent. It was around this time that I read American author Robert Kiyosaki's best-selling book, Rich Dad Poor Dad. I quickly took to the idea of making money work for me, to create a source of "passive income" - essentially, money that would flow into my pocket without me having to work for it. It was only then, right at the end of my schooling life, that my interest in investing was kick-started. With property so expensive and out of reach, it made more sense for me to focus on the stock market, where I could get started with a few thousand dollars or even less. Since then I have started to slowly but surely learn more about stocks. After saving part of my salary from one year of work, I finally bought my first lot of shares in 2010, at the age of 26. That investment cost me $960, excluding brokerage fees. Many of my friends my age or older have still not started their investment journeys. Their reasons are the same as the ones which I used to have - that the stock market is too opaque, too confusing, too technical. Compared with them, I started my journey at a relatively young age. But with the benefit of hindsight, I wish I had started when I was even younger - during university or perhaps during my national service days. Starting young has several advantages. For one thing, it brings a new perspective to money. Above and beyond fulfilling my material wants, I see money now as a valuable tool that can earn me handsome returns if I were to deploy it wisely. There was a fresh impetus to save and I have become much more thrifty. So if I had started earlier, I would have saved more instead of wasting my cash. Starting young also allows you to harness the powerful magic of compounding that much earlier. Basically, compounding means the dividends or gains you earn are added to the principal sum initially invested, which in turn generates even more gains. You can earn a substantial sum by putting money into the market from a young age, reinvesting the dividends and watching the sum grow over the years. Needless to say, the returns will be greater if they are given more time to grow. Another reason involves the opportunities to time the market. One major school of thought in investment involves trying to "buy low and sell high" to make a profit. The market moves in cycles, and you will encounter more "dips", or buying opportunities, the longer you are in the market. 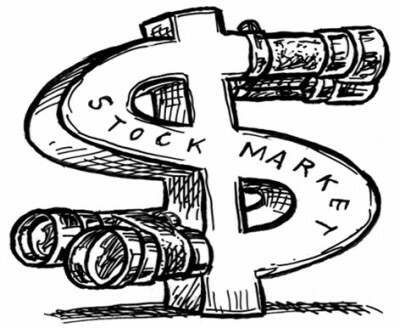 The 2008 and 2009 market crash presented a massive buying opportunity for stocks. The market has dipped on occasion since then but never reached those depressed valuations seen during the global financial crisis. Indeed, stocks may never be as cheap again. Take blue-chip DBS Group Holdings. It was trading at between $7 and $10 during those years, and I remember a friend urging me to buy at that time. "It's a good bank, it's a good stock," she said. "Just buy one lot, you are sure to make money." The problem was that I was only starting to work and had no savings. I also had no brokerage account and no idea how to even buy a stock. So I passed up on the opportunity. DBS shares are now at about $15 so I would have made at least 50 per cent if I had started saving and investing much younger. Starting early does not mean you need to buy stocks all the time but it does mean you are prepared to strike when the opportunity presents itself. Of course, all investments entail risks and timing the market can be a nerve-racking game. Older investors are replete with stories of how they bought shares in 2000 amid the dot.com boom only to see the market crash over the next two years as the bubble burst. But starting young gives an advantage. It means you have many more years of working life and investing ahead, allowing time to recoup those losses. That is why financial advisers often recommend that young investors buy "high risk, high return" instruments such as stocks or even commodities, before switching to "low risk, low return" instruments such as bonds as they near retirement. And this is not just theory for me any more. That first stock investment I made is now worth $1,300, a return of 35 per cent excluding dividends. Nothing to complain about for sure, but a shame I didn't start a bit earlier.